Gangs are a constant threat to the positive development of youth in the inner city. 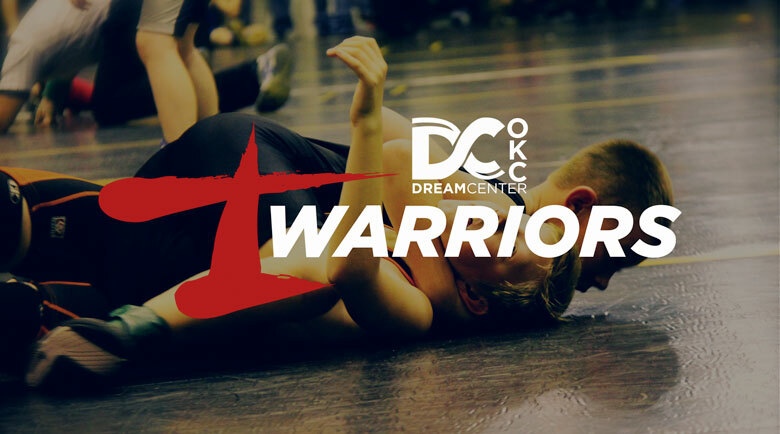 Warriors Wrestling uses the sport to build relationships between at-risk youth and caring role models. Participation is free to qualified families. Coaches and volunteers work to remove every obstacle that keeps under privileged youth from being able to participate in positive programs. Transportation is provided to practices and tournaments, and nutritious food is served at every function. At practices and tournaments, coaches actively mentor youth. Character First materials are used in practices, and informal conversations between athletes and coaches help youth develop positive character. Warriors also benefit from the other programs of the OKC Dream Center. Youth participate in the Mentoring Mondays, a program that matches students with 1-on-1 mentors for help with homework and character growth. Summer feeding programs and day camps ensure kids don’t go hungry during the summer and provide additional opportunities to grow. OKC Dream Center is a 501(c)(3) organization working in partnership with Inner City Church. Donations given in support of the Warriors Wrestling team are used exclusively for that purpose. We need donations to cover costs of uniforms and practice supplies, tournament and league fees, food, and transportation. Please help support this program and ensure it’s continuation in the 2018-2019 season and beyond!